225) This is a very defiant mailbox. 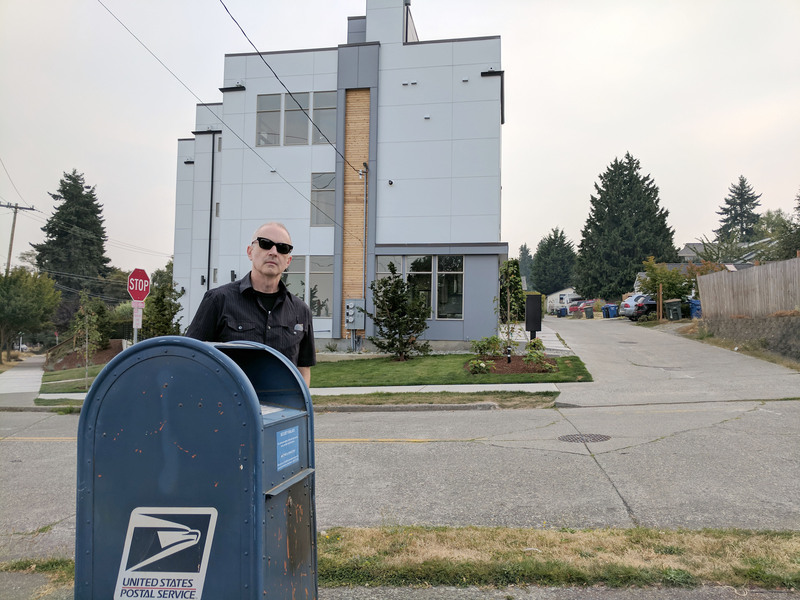 Local legend says that when that very boxy, angular building went up across the street, the mailbox spun itself 90 degrees to present its classic rounded form to the new structure. This mailbox is not going to be intimidated. Not today, not tomorrow.